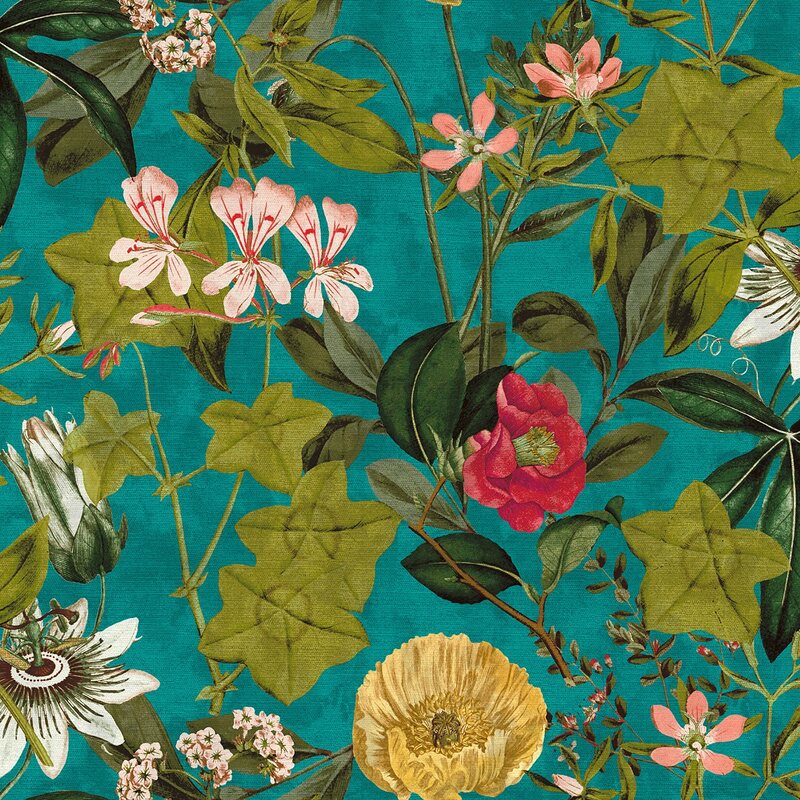 Clarke and Clarke Exotica Passiflora fabric in Kingfisher colourway. Passiflora is a luxurious velvet fabric with a floral design. Birds of paradise, passion flowers and exotic island life dazzle against opulent velvets, rustic linens, embroideries and intricate weaves. With 45 colours ranging from kingfisher tones to vibrant teals and softer combinations of slate, amethyst mineral and blush, this stunning collection is a seductive homage to tropical island life. * Available in 5 colourways. * Discounts available on rolls of around 40m contact us for more information. If you are unsure of colour or finish, please request a sample. Please note we are unable to accept returns on cut fabric as it has been cut to length and is a bespoke order.